Keelie Briggs is a wife, a mother of 2 and a pro wedding blogger. I was so happy when Keelie reached out to me for a complete rebrand. Her blog content was great, but her current branding was letting it down. Not only was I excited to give her brand a makeover, I was genuinely excited to work with her - an awesome and inspiring woman! 'The Clued-Up Bride' isn't your average wedding blog, all flowers, lace and soft pinks. After discussing the goals for her new brand design, I soon realised it was quite the opposite. Keelie wanted bold, fun, and a little bit girly. These things really portrayed the style of writing Keelie loved and the direction she wanted to go in. At the same time, we wanted the blog to be taken seriously, as it's jam-packed with incredible advice for bride-to-be's. So even though we had to make sure the branding was fun, we of course had to bring an element of professionalism. With all of the information we gathered in the initial questionnaire and consultation, I was able to start on her brand moodboard. She absolutely loved her moodboard so we moved on to creating a logo. I submitted 6 initial designs to her, and she came back with her likes, dislikes and changes she wanted to see. With her input I submitted a final 5, where she then chose her favourite design to use for her new official logo! The following images are all of the logos I submitted to her over the whole process with her input. Keelie was really happy with her logo concepts, with lots of discussion and ideas we were able to settle on something she was over the moon with! 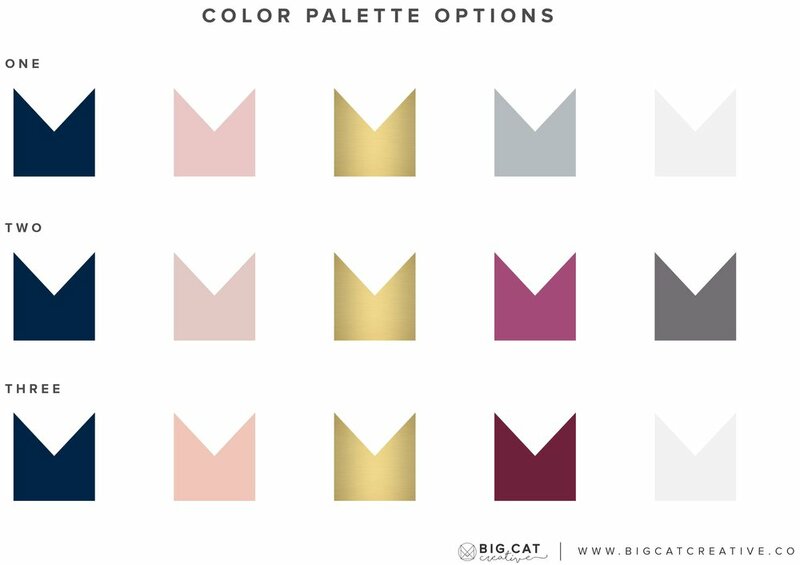 Once we decided on the logo, I sent her a few colour pallets to choose from, based on our initial consultation + questionnaire and moodboard design. She went with the first option and I soon got to work on the branding style board. This took a bit more time, but I came up with a style board that Keelie was SO happy with. It was exactly what she was wanting, while also portraying the brand perfectly: bold, fun, a little bit girly and professional. As a bonus I also put together a few marketing materials for her, including a Facebook logo and cover image, Twitter cover image and some graphics for her website. We also spent a bit of time implementing the new graphics to her website via her existing web developer. I had so much fun with on this rebranding with Keelie. This rebranding has made her more excited about her blog and has ignited more inspiration to grow and expand her brand. I think we ended up with a beautiful result and strongly believe this new design will bring her more future successes. "I am thrilled to bits with the new brand that Erica from Big Cat Creative designed for me. I had no idea what I wanted and Erica took the time to understand my niche and my audience and create something beautiful that also has a fun element to suit my writing style. I was given many options and ideas to choose from and Erica kept me informed every step of the way to ensure I knew what I could expect next, she even went over and above by helping to implement the graphics on my website. I regret putting off rebranding for so long as I absolutely love my site now and I've had fantastic feedback from my audience! If you're still wondering whether or not to seek professional help with your graphics or branding, I absolutely recommend that you talk to Erica, who I will definitely come back to next time I need something designed." Ready to revamp your own brand?